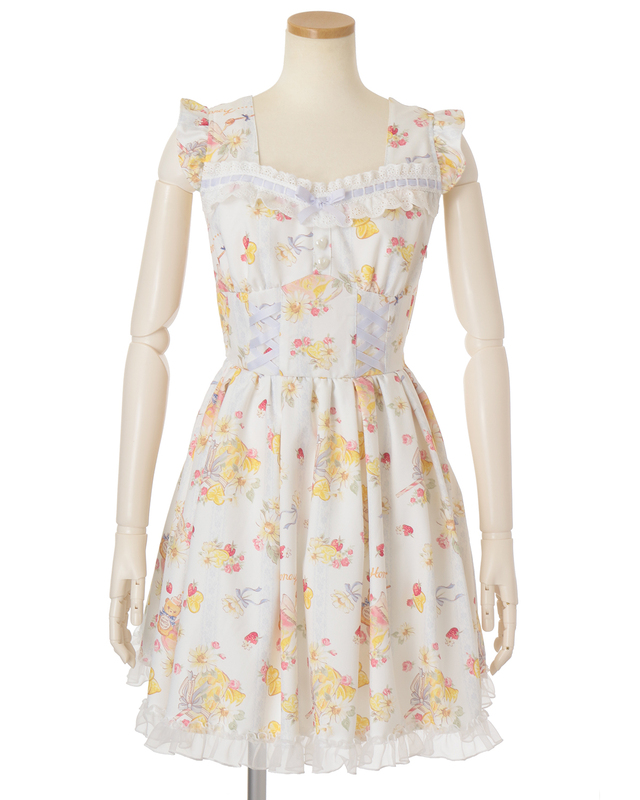 (Free size) LIZ LISA original jumper skirt with sweet lemonade motif. The heart shaped lemons and honey bear bottles for the original touch. Additional cotton laist on the waist and the tricot frills on the hem! Highly recommended print this Spring/Summer!